POP: Art in Unexpected Places brings the arts the very center of a community, partnering to present this free community arts festival to the Kierland community in Scottsdale, AZ. 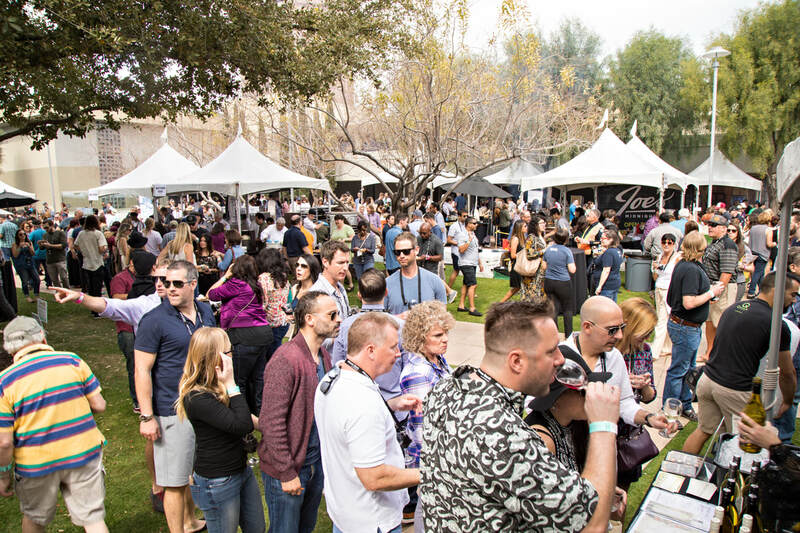 The two-day festival blends and signature Arts and Business Partnership, which supports over 50 integrated arts experiences at the Kierland Commons Shopping Center, the Westin Kierland Resort & Spa. Attendees experience the diversity of the arts community, in this colorful celebration which features live murals and music, performing arts, an origami garden, dance, theatre, children’s activities and the culinary arts, all in the POP UP locations throughout the shopping center and resort properties. The project is presented by AZBCA and Kierland Master’s Association. ​The Roche Tissue Diagnostics Gallery (Known locally as Ventana Medical Systems, Inc) embodies the passion and purpose of the organizations founder, Tom Grogan. 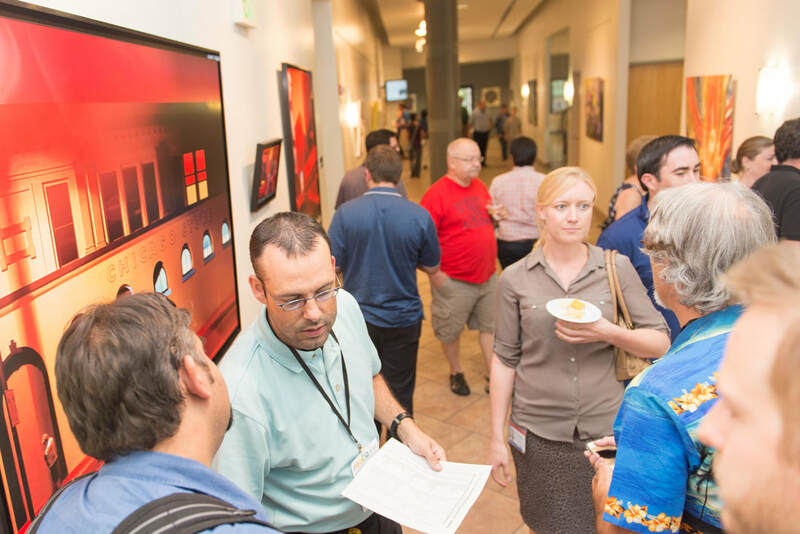 Since 2006, the Community Gallery Space located within the Roche Tissue Diagnostics Oro Valley, AZ Headquarters, has hosted a rotating gallery space featuring over 2,000 original art works of National and Local artists, as well as employee art in all mediums. The signature Arts & Business Partnership continues to support local artists, bring inspiration and creativity to the workplace, and fostered teambuilding for employees. 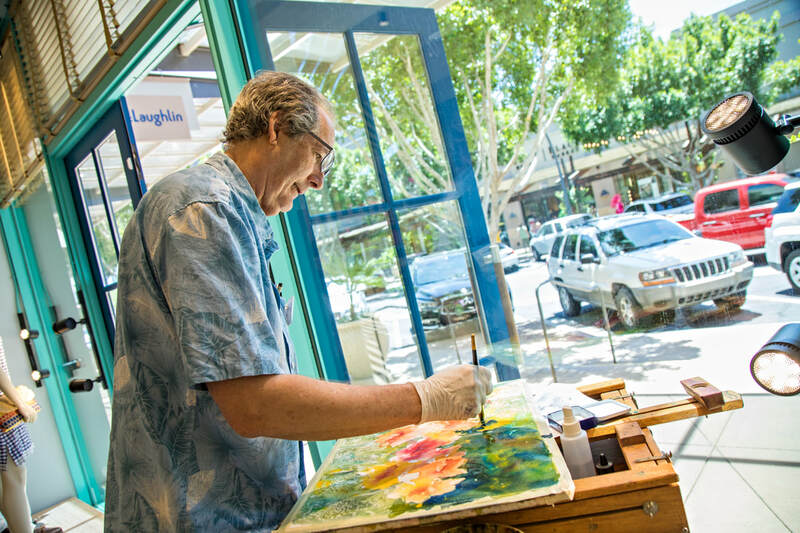 The Gallery space and rotating community exhibitions have stamped a permanent space for emerging and established artists to thrive in Oro Valley. ​Since 2008, our organization has developed a dynamic partnership with the Vestar Properties throughout the State of Arizona. In an effort to help transform their business and shopping centers into venues and interactive arts experiences, a series of dynamic community events, have helped establish Vetsar Properties as not just a retail based experience, but an immersive space for the arts to thrive. 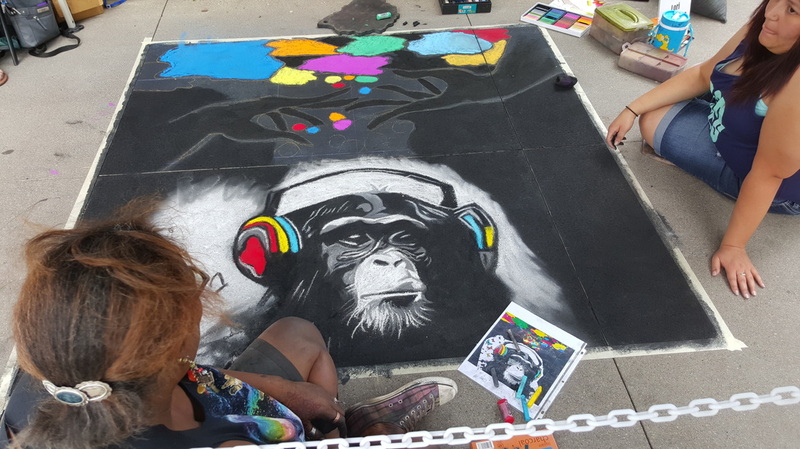 Some of our collaborative partnerships include the Vestar Phoenix Chalk Art Festival, which takes place simultaneously at the Desert Ridge Shopping Center, Westgate, and Tempe Marketplace centers. In addition, community arts festivals like the Festival of the Arts at the Oro Valley Marketplace, and the Cruise, BBQ & Blues Festival in Oro Valley, AZ, have each become signature community events, supporting economic development, tourism and immersive arts experiences. The projects are a custom Arts and Business Partnership, proving that when arts and business partner, our community profits. 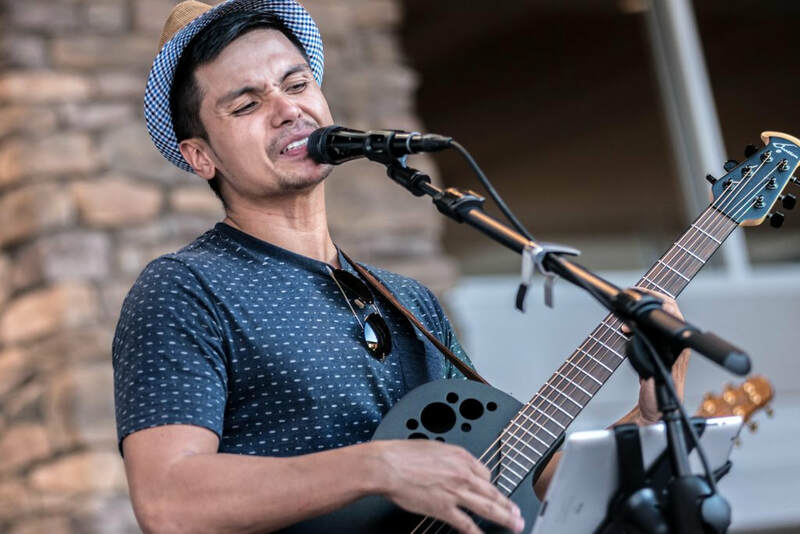 ​The Tucson and Phoenix Premium Outlets and AZBCA partner to bring live, local free music to Arizona each and every week. The year-round open-air Concert Series supports local musicians with the opportunity to perform weekly in the community’s largest outlet shopping center. The series supports a range in music genres, from country to rock and jazz to classical. The partnership enforces the partnership between business and arts, while promoting opportunity and exposure for local musicians. 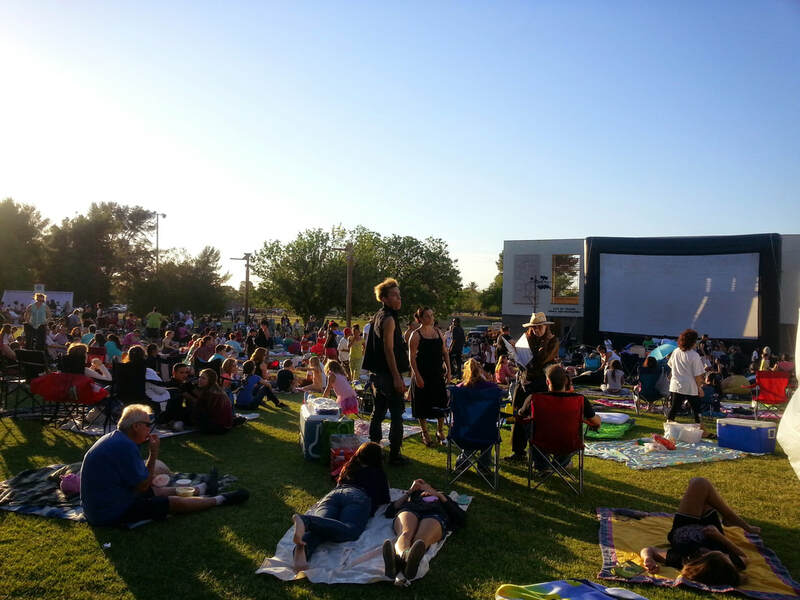 In one of the largest community arts event of the summer, the Cox Communications Movies in the Park series, brings thousands of community members together to experience the art of film, family and celebration. The First Friday free movie series has quickly grown to become one of the most awaited gatherings of summer, featuring family friendly films on a 40-foot screen, with arts activities, local non-profit activities, and food vendors, the event reinforces a strong sense of place in our community. AZBCA and Cox Communications partner to present the free community event, with the Reid Park Demeester Performing Arts Center, as well as local business partners. In addition, Cox Communications partners with the organization to present an Employee & Community Gallery Space at the Southern Arizona Headquarters. ​Watermark Retirement Communities, one of the nation's premier senior living companies, based in Tucson, AZ, leads the way in elder care innovation. The AZBCA has partnered with two Watermark properties in Southern Arizona, The Fountains at La Cholla and Haceinda at River Rd, to develop integrated arts experiences for their residents and patients. The programs serve over 500 residents annually. 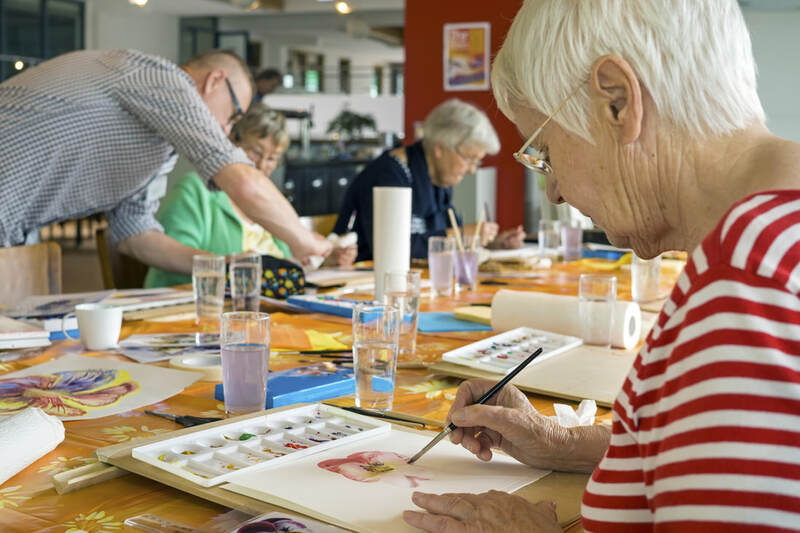 The Creative Aging Program brings the arts into the daily lives of residents, cultivating a foundationally healing environment, as well as supporting the physical, mental, and emotional health of individuals, and fosters a positive environment for their caregivers. A collaborative Arts and Healthcare based partnership between SAACA and Watermark Communities provides weekly multi-disciplinary lifelong learning series, interactive arts therapy sessions, Music and Memory experiences, as well as signature concerts, educational arts workshops, and a community gallery space for local artists on property. The Tucson 23, Mexican Food Festival is a celebration of the Best 23 Miles of Mexican Food in America. A weekend long celebration of the largest concentration of locally owned Mexican restaurants in the Sonoran Desert. The event highlights regionally diverse recipes and interpretations of Mexican food and culture, the food festival provides local chef collaborative dinner pairings, educational culinary classes, a traditional tequila toast, and live music experiences, all culminating in a signature community event featuring sampling of food from over 40 participating Mexican restaurants and chefs. 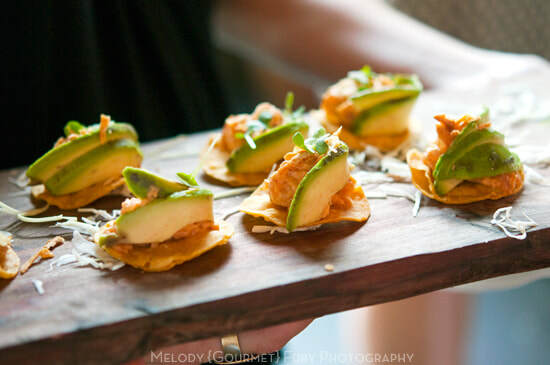 The event brings the BEST 23 MILES OF MEXICAN FOOD IN AMERICA to life, and is a result of an experiential partnership with Visit Tucson and the JW Marriott Starr Pass Resort. The program supports tourism, business and arts partnerships, economic development, and cultural significance.